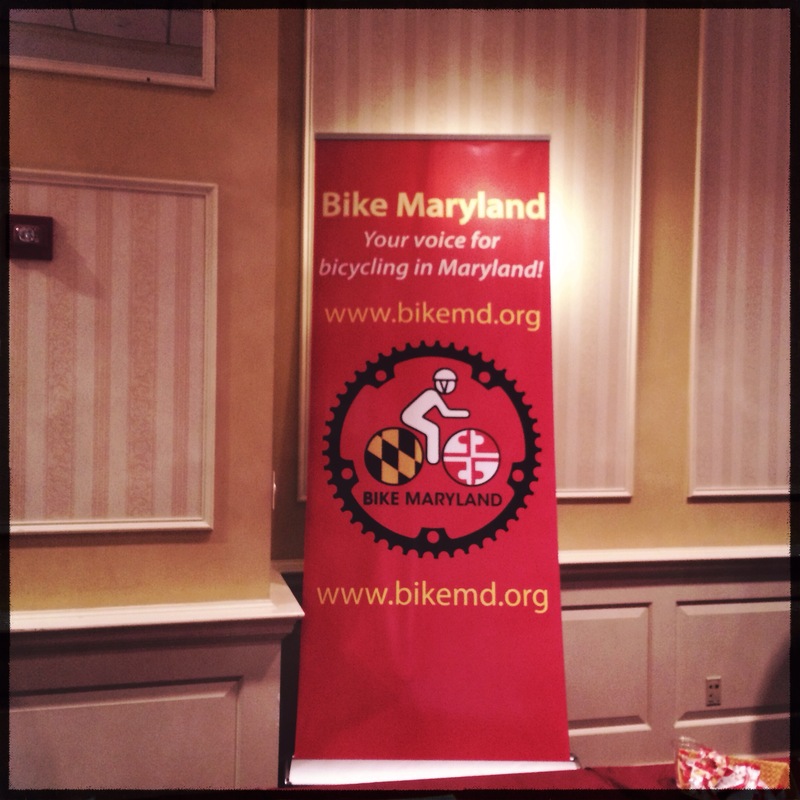 Bike Gaithersburg attended its first Bike Maryland Symposium this past February in Annapolis. The day was filled with great presentation by other groups throughout Maryland which only a few years ago were similar to Bike Gaithersburg. The day started with presentations on how to start a bicycle advocacy group. Many of the suggested activities were similar to those we have begun including group rides, web site connections, working with local transportation officials, and growing a network of supporters. The rest of the day provided an overview of timely topics including bike share, complete streets and safe routes to schools. Between presentations, it was great to network and meet folks from across the state just as passionate about bicycling. It also provided a glimpse of diversity of bicycle riders in the state and varied street conditions and settings. Much of the state is covered by small rural towns outside the near DC regions and Baltimore. The needs of cyclists was similar in terms of safety, network connectivity, and resources, but the ways to meet their needs were quite different and diverse. We also connected at the Symposium with Greg Billing, Advocacy Coordinator for WABA who let us know that a Montgomery County Advocacy Task Force would be forming under WABA in the coming months. We also connected with local Rockville folks from Bike Maryland who will be assisting with the Gaithersburg Bike Rodeo in April. Since I can’t do justice to all the great content in such a short post, luckily Bike Maryland has posted the full forum contents on its web site. The full presentations including video can be found here: http://www.bikemaryland.org/2014-bike-maryland-symposium/.